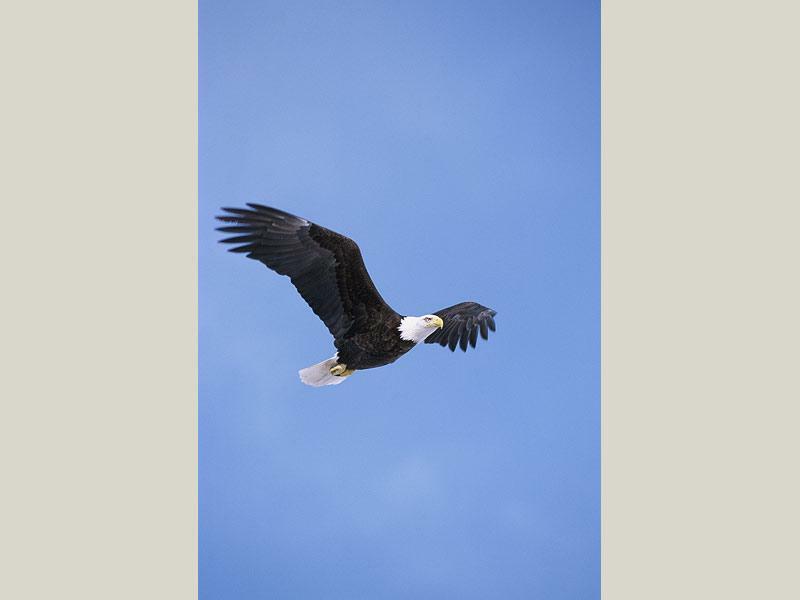 Always a stirring sight, bald eagles grow to over 3 feet tall with wingspans of up to 8 feet. 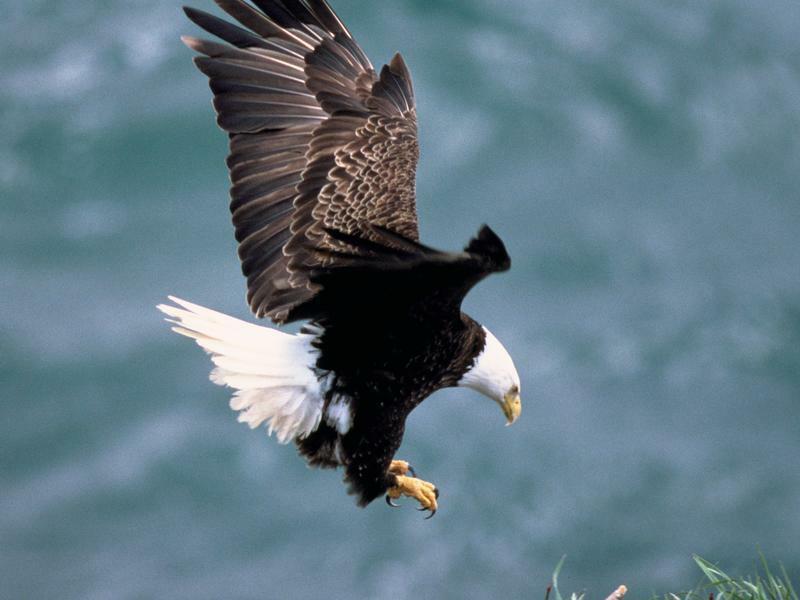 Eagles are long lived (up to 30 years in the wild) and are known to mate for life. 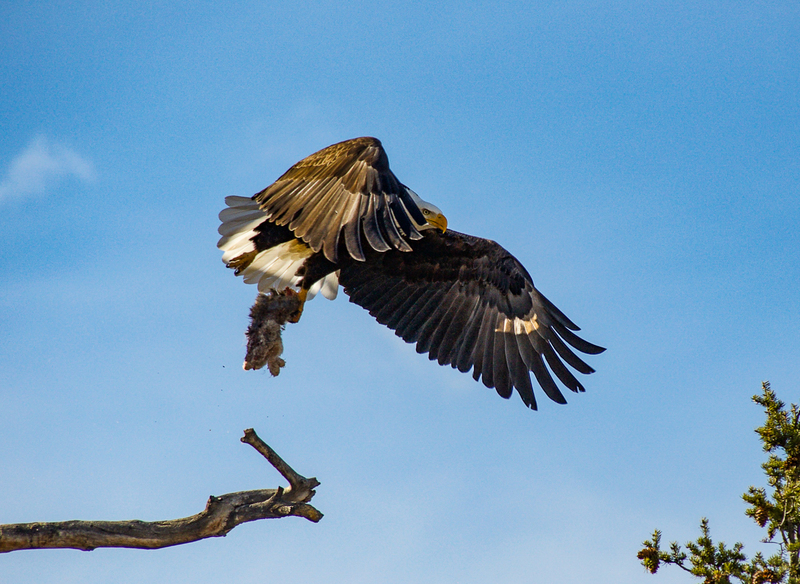 These notorious thieves commonly swoop in to take another animal's kill. They migrate by the hundreds to northern Utah in the winter, but there are also a few breeding pairs in the state - one of which is in Manila, near Linwood Bay. Thank you for visiting http://www.flaminggorgecountry.com/Bald-Eagle! Be sure and revisit flaminggorgecountry.com frequently for content updates and more.